Update from the House of Hope – Santiago, Chile October 23, 2012Today was day 2 of the Revised Team. Entering the team – Rachel, Cindy. Lina, Noel, Diane and Taylor – Exiting were Betty (sans work shoes – bless you), Deb, Bob, Lee O., Lee M. Continuing on – Boss-man Kerry, John, Diane, Tom and Dave. 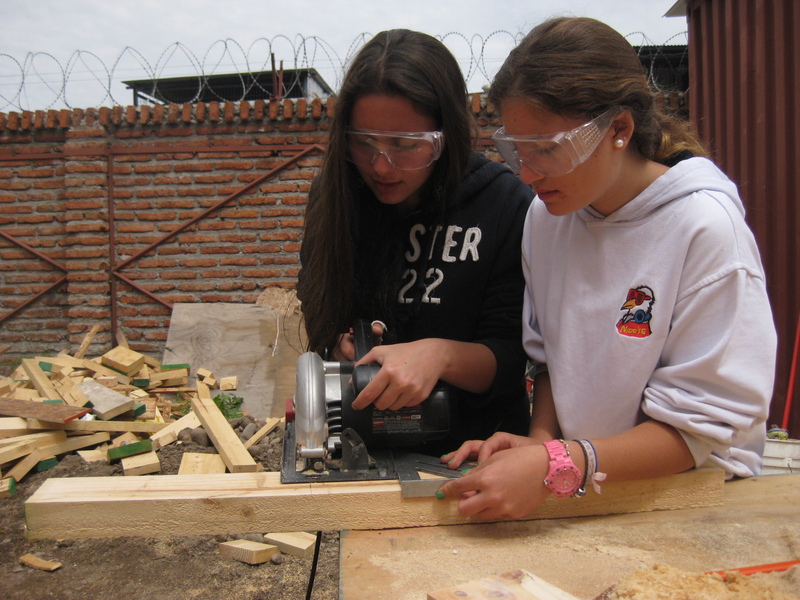 This week we are privileged to have a volunteer team from the Nido High School in Santiago working with us as a special project. It is exciting to have 20 eager young people ready to work and learn new skills. With their help, we dug a new ditch for the sewer line and made great progress on the framing (OSB Board mostly up, top plates, etc.). Our goal is to have the new dormitory-Multi Purpose building dried-in before we leave. The view of the mountains this morning was a breath-taking backdrop to our work. With that and the love of our God, serving is such a reward. The ripple effect of what is happening here in La Pintana as the result of the House of Hope has the fingerprints of our loving creator all over it. Blessings to all of you and thank you for your prayers and support. Next Post Update 5 On the Job 2012.